Six years on from the original article, and 13 years on from the first European MVNO in the UK, the European market is still singing, fortunately! Why is this? Well partly as written in my Future MVNO article of a couple of weeks back; Europe is on the higher side of the highest MVNO % of MVNO market share, and that's a big deal. So if one MVNO in one country can represent as much as all the MVNOs in other countries, there is still a long way to go, and every indication that wholesale can represent much higher market share in mobile as it does in other markets. While Europe and the US are far ahead of the rest of the world, Europe is far ahead of that, with the UK at 14% MVNO market share, and countries such as Denmark, with Telmore MVNO at 800,000 customers in Denmark... and only 3 people live in Denmark! (I lie, its actually 5.5M...) which makes high double digit MVNO market share for just its biggest MVNO! The buoyant handset market has contributed heavily, in countries like the UK sponsored by MNOs, in countries like Italy funded entirely by the user, and in the UK the iPhone phenomenon saw premium rates. When the iPhone launched in the US it was yours unlimited for $22 per month, in Europe the compulsory extra unlimited data bundle for iPhones was not far from that alone! The MNOs paid quite a lot for 3G licences, and needed to amortise this investment - wholesale has become the MNO cash cow in Europe, and the above factors allow this to be quite a milk machine! I was sent an article from Business Week with the above title via email by a client; one of those nice comforting articles that make you feel you have made the right choice by doing many of the things that are in the article as they preach is right, with the added smugness of feeling you are doing something a little extra they have not twigged yet! 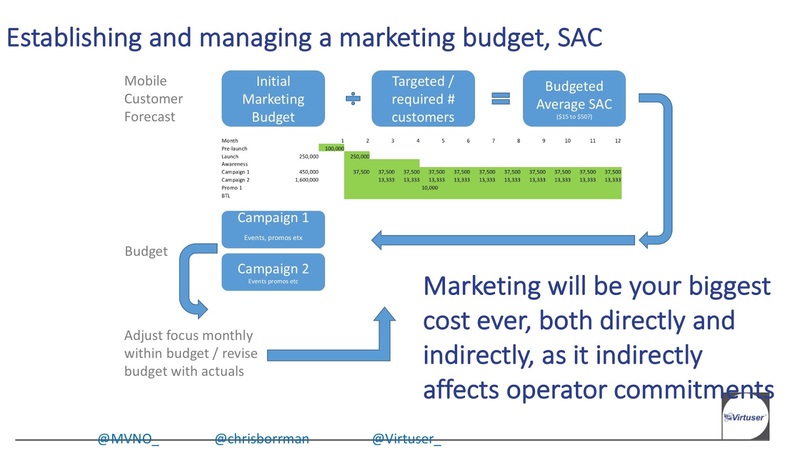 One's thinking behind an MVNO has to change, it is not a mini Mobile Network: It has to be approached carefully, and its business model needs to be audited by all those involved. Firstly, "no frills" is not the only MVNO model for Europe; it is just the only one that has managed to master the two points above: thinking differently and keeping costs low. However, there have been casualties, both of which had the "no frills" model that the article preaches, but made both of the grave errors above. Secondly, "no frills", like many European models, is not a model for the US; just look at the all popular iPhone as an example: In the US, AT&T are selling the iPhone for as little as $59 per month. For that you get the all important iPhone, unlimited data, 5000 off-peak minutes, 200 SMS and 450 inclusive minutes... As the iPhone launches in Europe, and more specifically the UK, I very much doubt it will be had for £25 per month, let alone with unlimited data (although on 2.5G only, "unlimited" is not that much!). Where is this going? 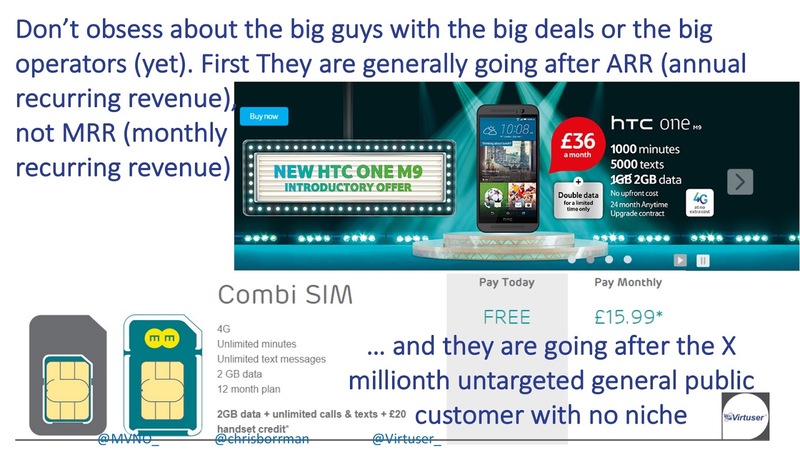 In the US, mobile, like most consumer goods, is already "no frills" in price, so MVNOs in the US have to compete on other VAS, like the examples of Healthcare in my now ageing but once best selling Next Gen MVNO report... and for those of you thinking this is a plug, its not, its worse; its a "I told you so" ;-)!. The real MVNO models are yet to come, and while in Europe they will definitely have to be competitive on price, in both the US and in Europe, and the Rest of the World, customers buy, recommend and repeat purchase on many things above price, and I would suggest even the successful "no frills" MVNOs, when you scratch below the surface, have succeeded on qualities offered to their customers beyond price. 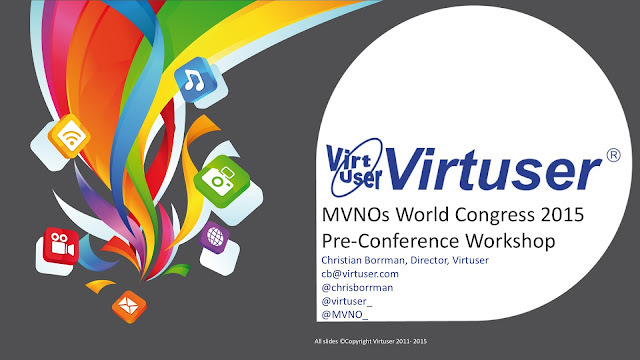 We have heard a lot about the brand MVNO and MVNO and the brand, unfortunately most of it is confined to the conference room and reports. The Brand MVNO is where it all started; Virgin Mobile UK spent a lot of money on promoting their brand, and they were right - look at how much money Vodafone started spending on its brand post Virgin success vs. before! 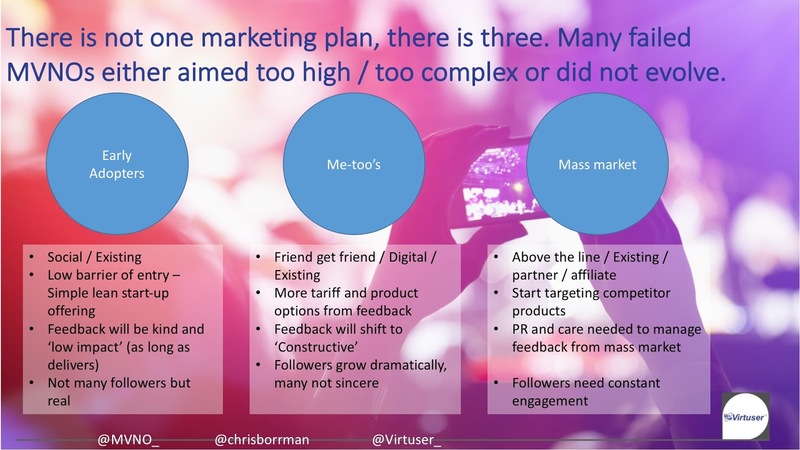 The problem was, Virgin then went to conferences saying: "don't copy us unless you have £50M to spend on your brand" which the MVNO industry unfortunately generally read as "don't spend anything on your brand". 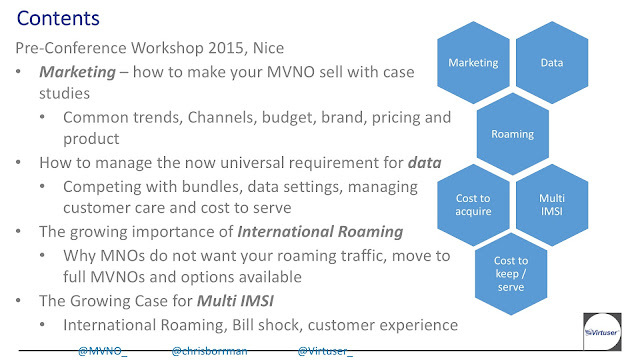 The Brand MVNO Model is covered in this post. The MNO is putting its faith in the MVNO ability to access a market - without a brand, how long will that last? Brand is one of your strongest MNO negotiation points! 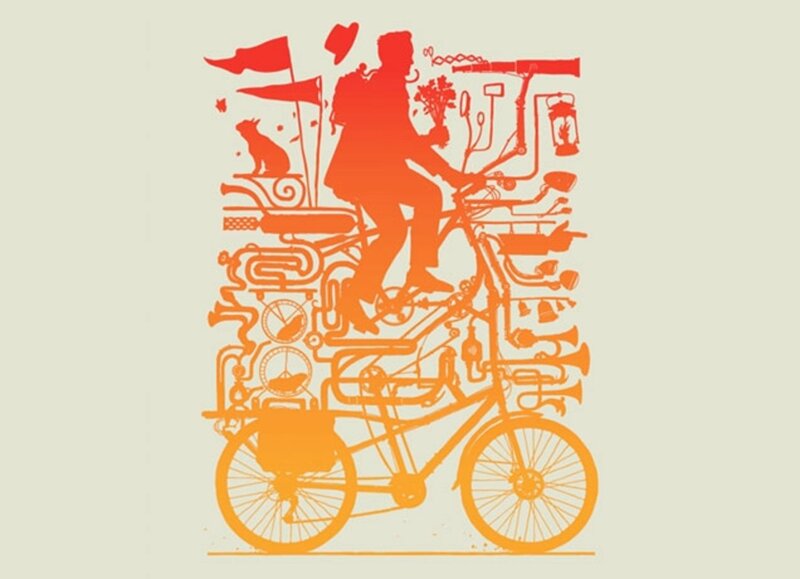 The brand will determine your your uptake and limit your churn. Remember, Remember that MVNOs live and die on acquiring customers cheaper (than the MNO can) and keeping customers longer, and the Brand is key to this. Virgin mobile entered as the challenger, and did not move into the leader position until maybe 2-3 Million customers when it essentially became and MNO brand of its host, began subsidising handsets, etc, etc. 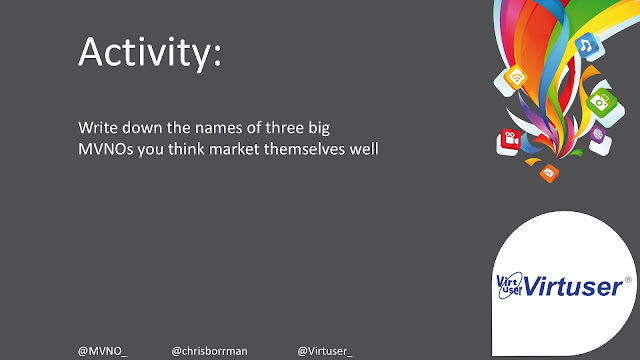 Becoming a challenger is not hard: if at first you have defined your product and segmented your market, the brand and its values should not be hard, but check, do those value ring through? An overwhelming feedback in the latest MVNO conference in Paris, from Red Bull, NRJ, Bleip and more leading brand strategy MVNOs commented on one thing: NO SMALL PRINT. If your brand is simplicity, honesty, etc, small print goes against this. Most MVNOs win over the MNO on simplicity, if you look at the MVNO segmentation post. 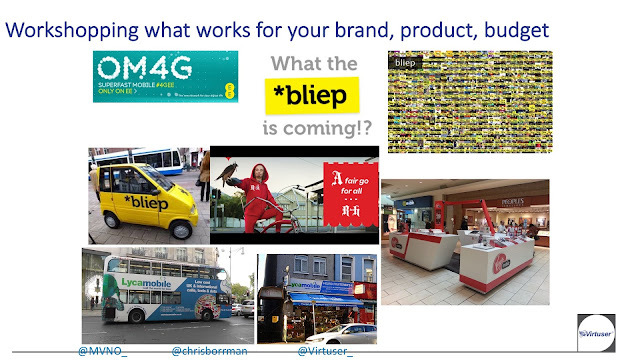 Does your MVNO product reflect your MVNO brand, is what you are doing new, or just rehashing what the MNO does??? Work these simple points out, and not only will your negotiations with your MNO and other partners be simpler, but your MVNO will benefit is acquisition and retention - in this sense, every MVNO is a brand MVNO! 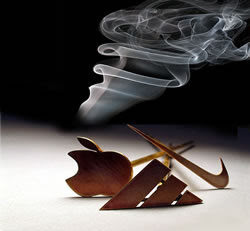 For a brand to have any value it must mean something to the customer and to do so it needs to be exclusive. This is not compatible with trying to own all areas, sectors and parts of the market with just one brand, as most mobile operators do today. Because of this, most mobile operators' brands are all over this matrix. Note that successful MVNOs, like Virgin Mobile, started as a challenger and are now becoming brand leaders, whilst minimising any association with the "follower" values.